TORONTO – For Kawhi Leonard to be the last player in the gym following practice is hardly unusual – it’s become a regular occurrence at the Raptors training centre. But one afternoon in October, the superstar forward had some company. Returning to the team from an excused personal leave a couple days before the start of the regular season, OG Anunoby shared the court with Leonard and a pair of assistant coaches, Phil Handy and Jeremy Castleberry. If you had to play catch-up, this was a good way to do it. The two players teamed up in a series of drills, which included dribbling, mid-range pull-ups and three-point shooting. Alternating, they launched jumper after jumper from various sports around the arc, with the coaches rebounding and tossing passes. 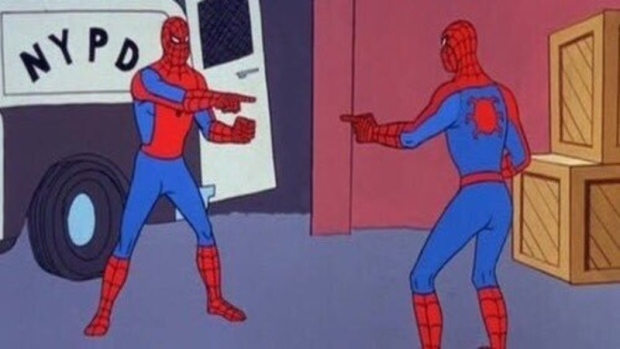 A short video of the session accumulated more than 36,000 views on Twitter, and among the many replies was the popular meme in which one Spider-Man points at another Spider-Man. It’s not hard to see why some have compared Anunoby to a young Leonard. They share a number of traits, both on and off the court. Like Leonard, Anunoby came into the league known as a hard-nosed perimeter stopper. Like Leonard, he had physical tools and defensive instincts well beyond his years, but – also like a young Leonard – his offensive game was very much a work in progress. And, yes, like Leonard, he’s a man of few words. In a three-and-a-half minute scrum after his team’s light practice on Sunday, Anunoby was asked 15 questions. The soft-spoken, albeit extremely polite 21-year-old averaged 10.3 words per answer. How’s that for efficiency? Naturally, it’s difficult to imagine he and Leonard having long, or especially personal heart-to-hearts, but that doesn’t mean Anunoby isn’t embracing this unique opportunity to pick the brain of and learn from the player he’s wisely modeling his game after. Toronto is off to a franchise-best 12-1 start to the campaign, and there are plenty of feel-good storylines around the NBA’s hottest team. Leonard is getting closer to pre-injury form, Kyle Lowry has played MVP- calibre basketball and Pascal Siakam’s breakout is unfolding just as many expected it would. But don’t forget about Anunoby. From his apprenticeship under Leonard, to his improved health and expanded offensive role, there’s a lot to like about Anunoby’s setup in his sophomore season. Not unlike Siakam, whose improvement has been easier to see and therefore more celebrated to this point, Anunoby seems poised to make a big jump this year. Only nine months removed from ACL surgery when he debuted for the Raptors last year – the biggest reason he fell to Toronto with the 23rd-overall pick in the 2017 draft – Anunoby was never fully healthy as a rookie. Now, after having an entire off-season to get his body right and work on his game, Anunoby has his lift back and is starting to look like a more complete player. As a starter for most of last season, Anunoby had a limited offensive role, serving as a spot-up shooter alongside Lowry and DeMar DeRozan. With the addition of Leonard, and with Siakam thriving as a starter, it appears Anunoby has settled into a new, full-time role coming off the bench, where he’s being used as more of a focal point in the offence with the second unit. Anunoby showed his versatility in Saturday’s win over New York, scoring 16 points on 7-of-10 shooting and giving the Raptors a much-needed jolt of energy after the first unit got off to a sluggish start. His first bucket came off a designed play. Using a double screen, he cut towards the rim and Lowry found him for a reverse slam. He led a fast break, scored off the dribble and also hit a corner-three. It was his third straight game scoring in double figures – something he had never done as a professional. After spending some time away from the team in training camp and recently missing three games – both absences for personal reasons – Anunoby is finally back in his routine, something he says he’s more comfortable with now that he has a full season under his belt. His confidence is growing, even if the duration of his interviews isn’t. Anunoby is never going to be one of Toronto’s chattier players, and that’s fine. The Raptors aren’t trying to change him. They want him to be himself, in the same way they want Leonard to be himself. How good can he be? His upside is intriguing, to be sure. Obviously the Raptors think so, too. Toronto was reluctant to include him in trade discussions over the summer, per league sources – even the one that ultimately landed them Leonard and Danny Green from San Antonio in exchange for DeRozan, Jakob Poeltl and a protected first-round pick. Putting a ceiling, or even a floor, on a player at this early stage of his career is a tricky exercise, and not entirely fair to the player. Leonard is a prime example. Who could have possibly imagined him blossoming into a perennial MVP candidate a month into his second season? Even if, theoretically, Leonard is Anunoby’s ceiling – and that’s a lofty ceiling for any player to reach – he’s got a long way to go. After all, Leonard is already one of the NBA’s premier two-way talents, a Finals MVP and two-time Defensive Player of the Year, and he’s just 27. However, if it’s any consolation, Leonard wasn’t much closer to reaching that level when he was Anunoby’s age. Eighty-four games into his NBA career, Leonard’s numbers and offensive profile looked very similar to where Anunoby’s are now. Leonard averaged 8.2 points in 24.8 minutes per game, equating to 11.9 points per 36 minutes. Anunoby is averaging 6.3 points in 20.5 minutes, or 11.0 points per 36. Their shooting percentages are virtually identical. Leonard didn’t blossom into an elite offensive player until his fifth season – his first year averaging over 20 points and hitting better than 40 per cent of his threes. Will Anunoby ever get there? The odds are not in his favour, but they weren’t in Leonard’s either. The cause for optimism here is Anunoby shares a few more traits with Leonard: his work ethic and desire to be great. That’s a good place to start. 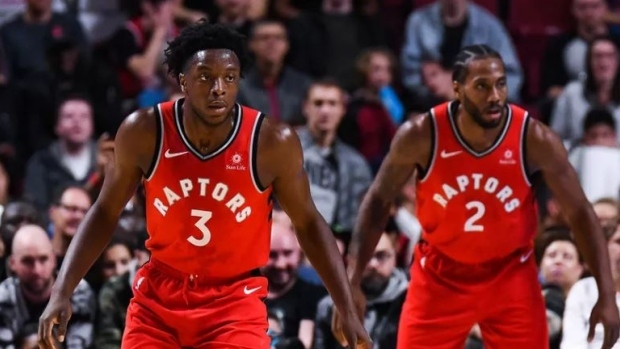 Perhaps their time together in Toronto – however long it lasts – can help Anunoby emulate Leonard further.